Charlottes got a lot · @Charlottgotalot. Official Queen City welcoming committee. Explore, experience and enjoy all that Charlotte has to offer. Tweets by the Charlotte Regional Visitors Authority. Charlotte, NC. charlottesgotalot.com. 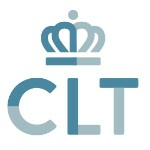 Charlotte Regional Partnership is home to world headquarters of seven Fortune 500 companies, and since 1990, new and expanding businesses have invested more than $18 billion here, creating more than 170,000 new jobs.